It’s official: Malaysia’s largest marine conservation area, the Tun Mustapha Park, is now in operation. Sabah’s Chief Minister Musa Aman officially unveiled the park at a ceremony on July 25. And with that, sharks and a myriad of other marine species will now enjoy much better protection, according to Musa. The newly established marine park, which was first conceived over a decade ago, covers nearly 1 million hectares with a stunning biodiversity of marine life. It also incorporates more than 50 islands and islets off the northern coast of Sabah, which is home to the districts of Kudat, Kota Marudu and Pitas. Some 80,000 people make their living from the sea along the coasts, many of them as fishermen. Fishing has now been banned in some areas of the park so as to better protect endangered species, including sharks, but it is still allowed, with limitations, in certain designated zones. 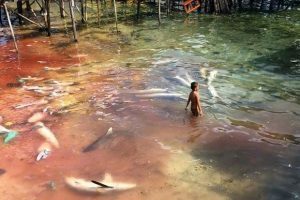 The park is an important part of Sabah’s fisheries industry, which produces about 100 tons of fish (worth some RM700,000) each day, according to WWF-Malaysia. Plans are now underway to increase ecotourism in the area, which is expected to generate an estimated income of RM343.4 million over the next two decades for the park. 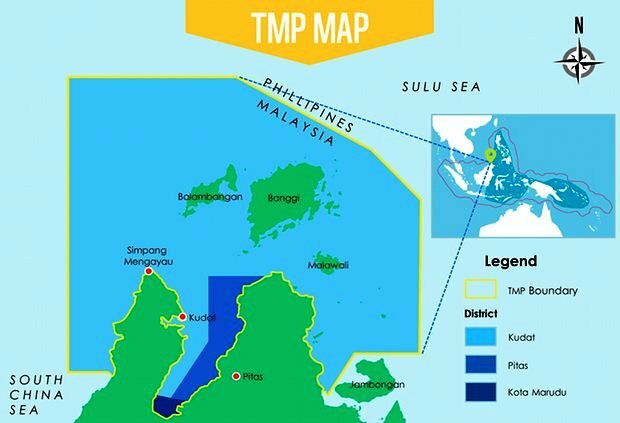 The Tun Mustapha Park has now joined Sabah’s two existing marine parks, the Tun Sakaran Marine Park and the Tunku Abdul Rahman Park, boosting the aggregate size of protected marine area in the state to 2 million hectares. The parks lie within the so-called Coral Triangle, a 6 million sq km area renowned for its stunning marine biodiversity along the coasts of the Philippines, Papua New Guinea, the Solomon Islands, Timor-Leste, Indonesia and Malaysia. Sabah’s waters themselves boast stunning marine ecosystems at coral reefs, seagrass beds and mangrove forests, which serve as microcosms of the marine region’s kaleidoscopic natural wonders. The new park has been 13 years in the making, what with the myriad competing interests that needed to be taken into account. Its mixed-use approach to marine conservation allows local communities to continue to fish in select areas in the hopes that they will stay away from protected areas. 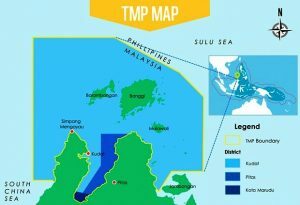 “The establishment of Tun Mustapha Park will boost the conservation and biodiversity of this uniquely rich natural environment,” Marco Lambertini, director general of WWF International, said. “The park’s gazettement should act as a model and an inspiration for marine conservation in the Coral Triangle and worldwide,” he added. Sabah’s Minister of Tourism, Culture and Environment, Masidi Manjun, has promised that sharks within all the marine parks in Sabah will be better protected. “We will start the initiative of the creation of a shark sanctuary by educating the people so they too have ownership of the programme,” the minister said. “I must admit that one of the reasons why there seems to be an apparent failure in wildlife protection is perhaps we have not done enough to educate the village folks on conservation,” he went on to explain. Masidi added that in order for marine conservation to work, local people will need to be won over to the cause of protecting endangered species. “We want them to understand that they can continue to hunt according to their traditions and way of life but to leave enough for conservation,” he explained. The cooperation of locals will definitely be key. 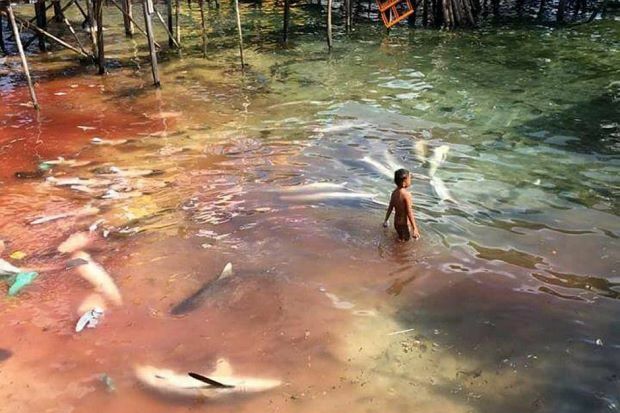 In mid-July photographs, reportedly taken at a village on Mabul Island, near Semporna, surfaced on social media, showing numerous finned sharks floating dead in a small bay, whose water had turned red with the sharks’ blood. As the world’s shark populations have seen their numbers drop sharply over the past years and decades, we will need to do much more to protect the remaining populations of sharks. 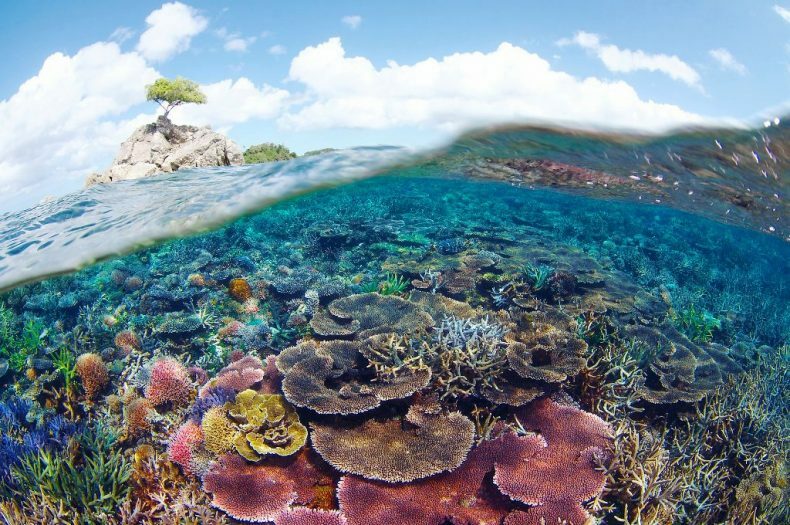 Malaysia’s world-renowned coral reefs, too, have been facing increasing environmental pressures from the double whammy of climate change and pollution. The country’s mangrove forests have hardly been faring better. So three cheers to the new marine park. The task now is to ensure that it does indeed become a genuine refuge for all the endangered and threatened species of local marine flora and fauna.